Today I ran across TNW’s (The Next Web’s) news article leaking information About the Apple Car…it’s a Facinating theory! 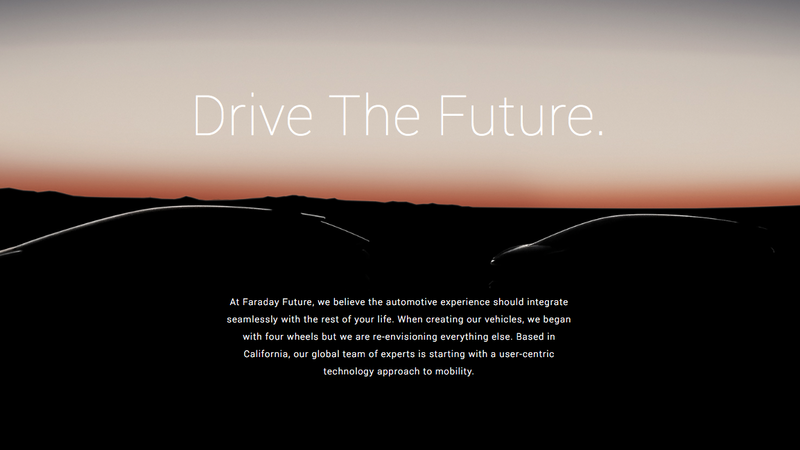 Faraday wants you to believe it’s not a front for the Apple Car, but it probably is. Billion dollar car companies don’t pop up overnight. It plans to release its first vehicle in 2017, and claims it’ll have 15 percent more range than the Tesla Model S. Bold. It’s also spending some serious loot. The well-funded startup currently employs 400 people and adds 10 new hires a week. Right now you’ll find them operating out of Nissan’s former California research facility. All that sounds great, but where Apple Faraday loses the rest of us — and sparks intense rumor that this could indeed be the Apple car — is through its representative speaking in vague generalities and carefully guarded truisms. The CEO is also an enigma. He or she most certainly exists, but unlike other companies this size, Apple Faraday is remaining mum on who it is. The only way that really makes sense is if it’s a “former” Apple executive. Equally mind-boggling is the fact that Apple Faraday employs so many Tesla alumni. 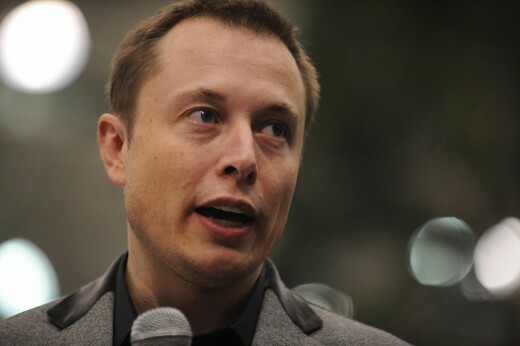 This could coincide with the shade CEO Elon Musk has been lobbing Apple’s way lately. “They have hired people we’ve fired. We always jokingly call Apple the ‘Tesla Graveyard’. If you don’t make it at Tesla, you go work at Apple. 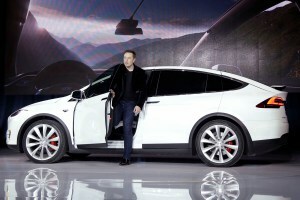 I’m not kidding,” Musk told German newspaper Handelsblatt. Add this to the fact that it’s almost certain Apple plans to enter the car market within the next five years, and that it just bought a huge amount of land in California — twice the size of its new “spaceship” campus — and it paints a compelling picture. I mean, Apple Faraday did say they planned on building a billion dollar facility, right? Of course, it could just be a well-executed ruse for a company — Faraday — that has its sights set on Tesla, to drum up some attention. It’s really impossible to know for sure. That said, it really feels like an Apple move. Welcome to the auto world Apple Faraday. This next article by the New York Post is yet another, slightly more in depth look at the Apple Car and unraveling some of the mysterys. No one knows who’s running it, but a mysterious electric car company is building a billion-dollar manufacturing plant and poaching the best minds in the auto world. The company is called Faraday Future, and it began operating out of an old Nissan research facility in California sometime last year. The name Faraday comes from the English scientist Michael Faraday, who contributed massively to the fields of electromagnetism and electrochemistry. It currently has more than 400 employees working for it, but company bosses claim to be hiring around 10 new staff members per week in various fields with the aim of having 500 by the end of the year. But for now, its staff boasts a who’s-who of electric car engineers and designers. This includes the former vehicle and chassis engineer for the Tesla Model S, the head designer of the BMW i8, a former interior designer for Ferrari and a battery specialist from the Elon Musk-owned Space X. A further LinkedIn search reveals more employees who have significant experience at massive auto companies such as Ford, General Motors, Volvo and even the likes of Facebook and Google. Nick Sampson, who was the former director of vehicle and chassis engineering for Tesla, is now the senior vice president at the company and seems to be acting as its spokesman. He recently told reporters that the company would launch a brand new electric car in 2017 that would rival the Tesla Model S, and a press release revealed the company was ready to get that going. Despite the fact the car company has close to 500 employees, no one really knows anything about the car they’re making aside from the fact it’s completely electric and will be packed with connected-car features. The range of the vehicle isn’t known, nor is its speed, but the company has revealed it will have a battery pack with 15 percent more capacity than the Model S 85kW-hr. If the range for that is around 270 miles, one can assume Faraday is aiming for at least 310 miles of range for its car. In terms of design, the company has a teaser rendering on its website of an SUV that looks very BMW X6-esque. It’s a very ambitious aim for a company that has no product, no publicly announced CEO and a team of just 400 to 500 people. But Faraday claims it has already begun purchasing orders for components and secured parts suppliers for its products, while its manufacturing plant will begin construction early next year. Initially the fact the company refused to disclose its CEO intrigued people, but later it was shrugged off as a hype-builder. Now Faraday has funding for a manufacturing plant, the mystery has garnered serious interest. One rumor is that Faraday could be a dummy company created by Apple to hide its car plans until they’re ready. The basis of the theory obviously begins with the fact that it’s almost certain that Apple will be entering the car market over the next five years. Apple has never been one to reveal its plans so far away from release and hiding a massive manufacturing plant would be even harder. This would also explain the lack of known CEO, as pushing an Apple executive to that position would immediately give it away, and it would be highly unlikely Apple would put someone who hasn’t spent time there in that role. Let’s not also forget that Faraday seemed to have obtained its funding in an extremely short time. Apple has also just bought a huge amount of land in California, twice the size of its new “spaceship” campus.The huge amount of Tesla employees on the Faraday payroll could also align with Musk’s comments that Apple is stealing loads of his engineers for big bucks. Regardless of how accurate the Apple rumor seems to be, it looks like Tesla might finally have its first proper electric car rival. This entry was posted in Apple News, Apple Products, Tech Tips and tagged Apple car, Faraday, icar. Bookmark the permalink.